Amazon announced today that it's begun shipping the Kindle Voyage, Kindle Fire HDX 8.9 and Fire HD Kids Edition. The bookseller aims to dethrone the Kindle Paperwhite with the Kindle Voyage, which it says is its most advanced reader ever. 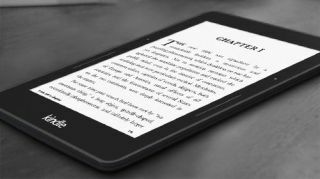 Objectively speaking, the Voyage is certainly the brightest and the thinnest of Amazon's book-focused Kindle tablets. Amazon is selling the Kindle Voyage for $199 (£169, about AU$221). The Voyage also has a new customizable page-turning feature that lets you flip forward and provides haptic feedback when you press lightly on the Kindle's bezel. An Amazon spokesperson informed TechRadar that the retailer also began shipping two new Kindle Fire tablets today: the HDX 8.9 refresh and the Fire HD Kids Edition. The new and larger HDX has improved specs, while the Kids Edition has special content for kids, a special case, and a free two-year "no questions asked" warranty.